Born of October 5, 1872, in Germany, Dr. Friedrich Rittelmeyer was a leading figure in the Lutheran Church at the beginning of the century. At a time when the authenticity of the Gospels was diminishing, he was one of the pioneers who discovered their abiding significance through a meditative approach. 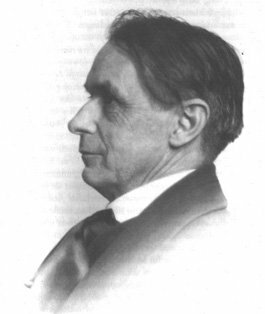 The dramatic turning point in his life was the meeting with Rudolf Steiner, through whose Anthroposophy he encountered a new world of thought. Click , type "Rittelmeyer" in the body. We will send you the e-book by return e-mail.